In a city full of unremarkable architecture the small red brick building on Front Street is an unassuming as they come. The facade belies the miracle of alchemy happening inside. 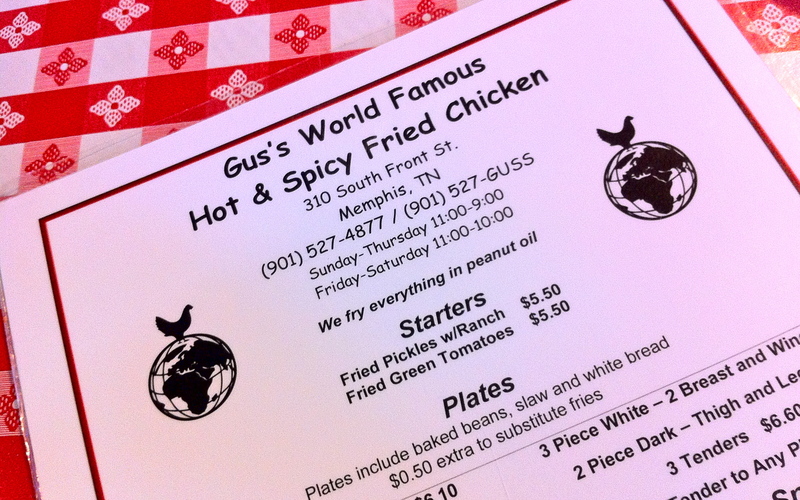 Served piping hot and without any frills, Gus’s punctuation-impaired fried chicken is no joke. I always thought I understood fried chicken and just didn’t like it. I was wrong. 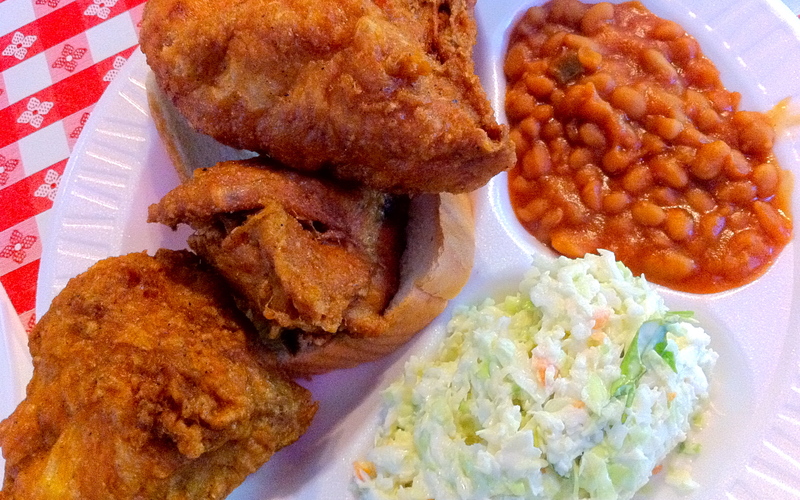 I’ve never had proper fried chicken until today. I don’t know what it is – the cayenne in the coating, the cooking in peanut oil – and frankly I don’t feel compelled to have that mystery revealed. 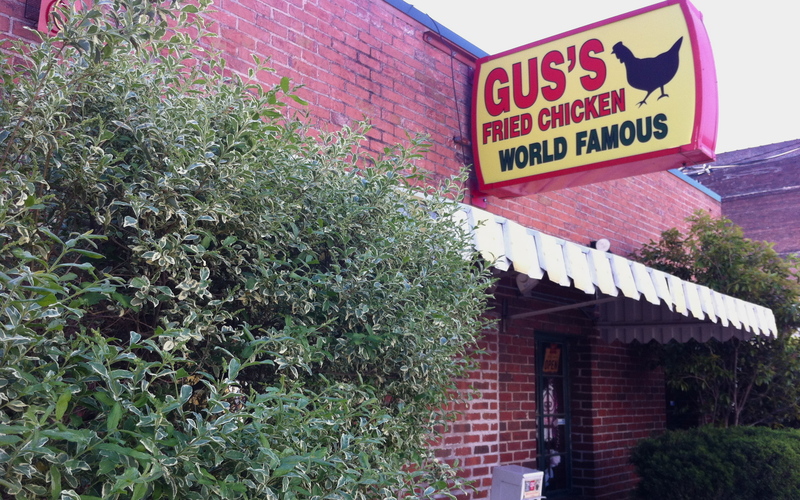 I’m just happy knowing that it exists somewhere – and like the girl who’s had her virginity taken I think a part of me will always secretly pine for that tremulous taste of my first liaison with Gus’s moist and meaty bird, his hot and spicy crust.